Special thanks to Bethany United Methodist Church, which donated hundreds of books again this year. There is a great variety of fiction and nonfiction and many that are early readers. The donation included losts of new books. 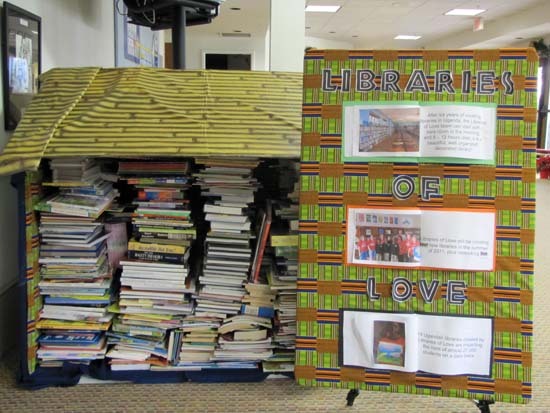 Libraries of Love has received generous donations each year beginning in 2005.